Morris Amitay is a “pro-Israel” lobbyist who formerly headed the American Israel Public Affairs Committee (AIPAC). Vice chair of the Jewish Institute for National Security Affairs (JINSA), a pressure group based in Washington, D.C. whose advisers “have a known fondness for the policies of [Israel’s right-wing] Likud Party,”Amitay is also a frequent commentator on U.S. and Israeli policy issues and a longtime supporter of numerous neoconservative-aligned groups, including the Center for Security Policy (CSP), the Coalition for Democracy in Iran (CDI), the Jerusalem Summit, and the Committee on the Present Danger (CPD). Individual donors to the PAC have included numerous well-known backers of hawkish U.S.-Israeli policies, including Lawrence Kadish, David Steinmann, and Norman Hascoe. Recipients have included several key pro-Israel congressional figures, including John McCain, Jon Kyl, Harry Reid, Mark Kirk, Joe Lieberman,Ileana Ros–Lehtinen, Curt Weldon, and Eric Cantor. Amitay has attacked the Barack Obama administration, frantically arguing that the president “is a disaster with regard to his foreign policy.” Among the issues he has been critical of is the administration’s handling of Iran. In a February 2014 interview with Washington Jewish Week, Amitay bemoaned how the” administration’s blandishments, threats, and promises” had kept many Democrats from supporting the Menendez–Kirk “Nuclear Free Iran” bill, a package of sanctions that observers argued would have derailed ongoing negotiations with Iran over its nuclear program. Michael Ledeen, an often discredited writer based at the neoconservative Foundation for Defense of Democracies, once described Amitay as “one of the great political minds in recent Washington history” because of Amitay’s work as a leading “pro-Israel” lobbyist. Amitay took over the helm of AIPAC in 1974 and remained as executive director until 1980. During his tenure, the Justice Department investigated the lobbying group for potentially operating as an agent for a foreign power. Recounting the event for the right-wing Washington Times, Amitay said that "two agents from the Department of Justice showed up unannounced and said they were investigating whether AIPAC should register as a foreign agent, as opposed to a domestic foreign-lobbying organization.” He added: "I invited them to look at all of our records and to speak to any employee they wished, but I assured them that, as an attorney myself, I was conversant with the Foreign Agents Registration Act and that AIPAC was scrupulous to avoid crossing any line to have to register as foreign agents." Amitay has a long track record promoting interventionist U.S. policies in the Middle East. In 2003, Amitay and Ledeen founded the Coalition for Democracy in Iran (CDI), an advocacy group pushing for regime change in Iran. The now-defunct coalition proclaimed on its website, "The Islamic Republic as a whole must be held accountable for its actions. Engaging reformists tied only to the regime is counterproductive since it stifles the growth of more democratic forces inside Iran. Perpetuating the behavior of the current regime fundamentally undermines U.S. moral values and national security interests." Among the group's supporters and cofounders were Frank Gaffney, Joshua Muravchik, Danielle Pletka, and James Woolsey. In mid-2004, Amitay joined a similar group of hawkish government officials and pundits in reviving the Committee on the Present Danger, a group that led the backlash against the détente policies of the 1970s and helped set the stage for the Reagan Revolution and a revived Cold War. In its more recent incarnation, the CPD has promoted an interventionist U.S. “war on terror” focused on the Middle East, claiming that it "is dedicated to protecting and expanding democracy by supporting policies aimed at winning the global war against terrorism and the movements and ideologies that drive it." According to its website, "Our mission is to educate free people everywhere about the threat posed by global radical Islamist and fascist terrorist movements; to counsel against appeasement of terrorists; to support policies that are part of a strategy of victory against this menace to freedom; and to support policies that encourage the development of civil society and democracy in those regions from which the terrorists emanate." In addition to Amitay, CPD members have included Kenneth Adelman, Rachel Ehrenfeld, Clifford May, and several original CPD figures from the 1970s, including William Van Cleave, Max Kampelman, Midge Decter, Norman Podhoretz, and Peter Rosenblatt. CPD's honorary co-chairs are Sen. Jon Kyl, Sen. Joseph Lieberman (I-CT), and George Shultz. During a May 2003 American Enterprise Institute conference on the future of Iran, Amitay sharply criticized the U.S. State Department's efforts to engage the Islamic Republic, saying that Newt Gingrich's much-publicized lambasting of the State Department and Colin Powell had not gone far enough. Clearly eager to see the United States take direct action against Iran, Amitay, who was introduced by Ledeen as the "godfather" of AIPAC, grudgingly acknowledged that such action would be difficult before the 2004 presidential elections: "As far as the administration is concerned, I think we have to concede that from now until November of 2004, the presidential reelection will be a very, very high priority, and that having taken on Iraq, I don't think that this administration or any administration would want to undertake the use of force for regime change anywhere else in the world. So I think what we will see is what we saw for most of [Bill] Clinton's eight years, a policy of kicking the can down the road, a hoping for the best, making tactical decisions, no really decisive, bold decisions." Regarding the State Department, Amitay said: "The role of the State Department, then, with the White House I think paying less attention to Iran than it deserves, will be crucial. … I think at this point it's not enough to say that the Secretary of State is just a captive of the State Department. … In a State mind-set, no tyrannical regime can't be made a friend by showing our own goodwill, politeness, process, and accommodation, as Gingrich put it. … The Congress is held in contempt by the State Department. They are know-nothings. They're a bunch of yahoos. … They don't have the sophistication. Some members of Congress are flattered by the State Department as being one of us, and as we go to the Senate Foreign Relations Committee with Senator [Sam] Brownback's initiatives, we're going to have some problems with some of the leading members." After Amitay's talk, Ledeen quipped, to laughter and applause: "Sooner or later, someone will have to give an anti-State Department talk at some other place than the American Enterprise Institute. Otherwise people will think badly of us. They will think that that's all we do here." Amitay has been a vocal critic of U.S. Jewish groups who have not supported hardline Middle East policies. In a March 2007 column, for example, Amitay attacked the Jewish Council for Public Affairs for not expressly opposing Iran, writing: "The Jewish Council for Public Affairs purports to represent a consensus on issues of importance to the American Jewish community. However, its failure to issue any statement on Iran at its plenum here in Washington late last month was both shocking and shameful. It reminds one of the story of the two hapless Jews caught by the Gestapo during World War II, and lined up against a wall to be shot. Seeing that the end was near, one cried out 'long live the Jewish people.' His companion implored him to be quiet—'or you'll get us both in trouble!’ With Israel (surely a subject of importance to Jews) being openly threatened with annihilation by the rulers of Iran who are seeking nuclear weapons, how does one explain this glaring omission? Has the JCPA been so intimidated—or indoctrinated—by the voices raised against the possibility of the use of force against Iran, that it could in good conscience just take a pass here?" Like his neoconservative colleagues, Amitay is fond of the term "Islamofascist." In one column, Amitay used the mass killings by a lone gunman at an American university as a backdrop for his argument about why Americans need to be worried about the Islamofascists: "Inevitably after the tragic Virginia Tech shootings much attention was focused on why, despite the warning signs raised by the shooter's previous behavior, no action was taken. On a much more macro scale the question must be asked why are we not taking effective action against the very overt threats posed by Iran and the spread of Islamofascism? Surely unambiguous warning signs are there in abundance. We have the resurgence of the Taliban, Iran's pursuit of nuclear weapons, its support of jihadist terrorists worldwide, and its proxies killing Americans in Iraq. The bellicose statements of Iran's leaders calling for the annihilation of Israel, their national slogan of 'death to America,' and the calls for even more 'martyrs' make perfectly clear their future intentions. Fueling this bitter enmity toward Western civilization is a fundamentalist religious belief that inevitably a caliphate will be established to rule over the entire world." See OpenSecrets, "Washington PAC," http://www.opensecrets.org/pacs/lookup2.php?strID=C00138560. American Enterprise Institute, "The Future of Iran: Mullahcracy, Democracy, and the War on Terror," AEI Event, May 6, 2003, http://archive.is/PMvG2. 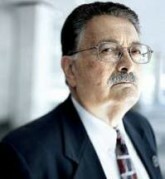 Eli Lake, “FBI took long look at AIPAC activities; Probe targeted suspected spies,” Washington Times, January 19, 2011. Nathan Guttman, “After JINSA Fires Top Staffer, A-List Advisory Board Members Resign in Protest,” Forward, January 27, 2012. American Enterprise Institute, "The Future of Iran: Mullahcracy, Democracy, and the War on Terror," AEI Event, May 6, 2003. 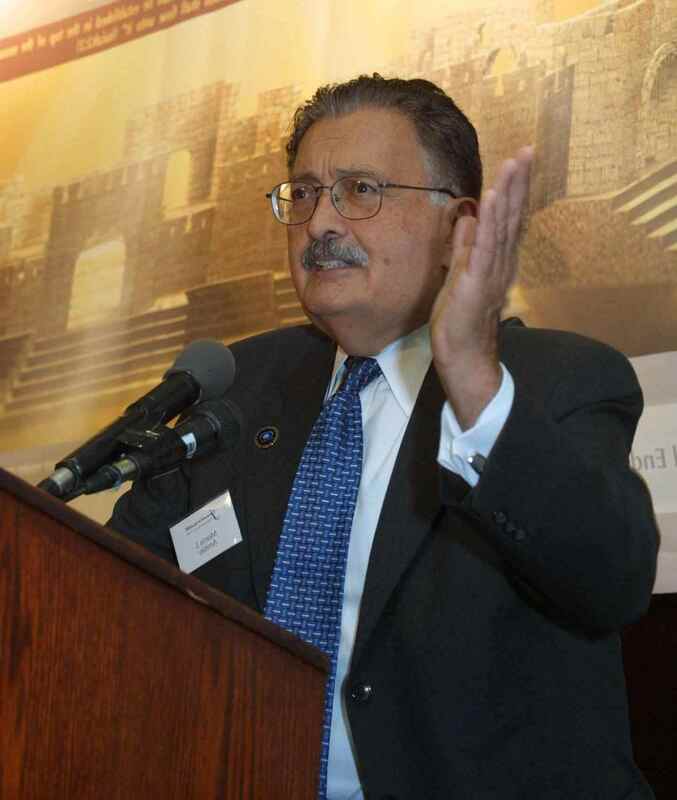 Morris Amitay, "Ignoring a Real 'Jewish' Issue," Washington PAC, March 7, 2007. Morris Amitay, letter to Commentary magazine, April 2007. Morris Amitay, "The Baker Report—D.O.A.," Washington PAC, December 22, 2006. Morris Amitay, "The Writing on the Wall," Washington PAC, April 20, 2007.